Dax: Assi Brand Instant plum tea is something else. First off, you get these sugar kibbles to put in your cup instead of actual herbal tea. After adding hot water the result is a thick, dark purple instant tea that smells like straight sucrose. 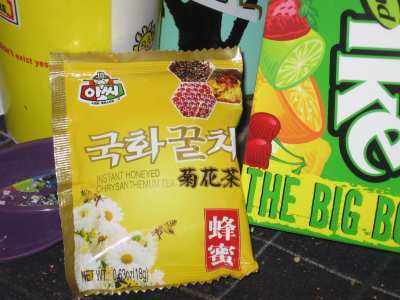 Dax: A little trip to the Korean store introduced me to Assi Brand Chrysanthemum Tea. 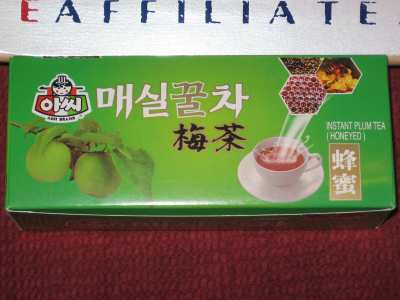 This instant tea is shocking to say the least.